Have you ever received compliments when you were looking beautiful at any party or at an official event? Did not the words of praise or people’s appreciating glance boost up you confidence? I am sure they did. Likewise, when you like a video on youtube it steps ahead little on the way of becoming popular. There are not only videos of personal events, or movies or music videos. There are videos of companies, brands and products. Marketing is conducted on youtube with uploading videos which show and reveal the advantages can be derived from using the products. Youtube marketing falls under the category of digital marketing. As the marketing takes place by advertising for brands and their products on television or by putting posters on road sides, digital marketing describes marketing on the internet. 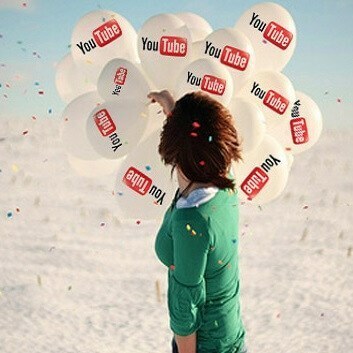 When a video is uploaded on youtube, it means to get noticed by all. If the video is good and the material of the video is meaningful it gets likes. The more the video can accumulate likes, the more are the chances of the product or of the brand to be popular. The height of popularity can be achieved if a video is able to get likes over 10,000 or more. Not only likes play a great role on youtube for marketing, even dislikes do. There is a fear for every marketer of getting dislikes for every video he uploads on youtube. If the marketer fails to convince commonplace of the advantages his brand or product provides, the video instantly gets thousands of dislikes. And it is real hazardous for business every time it happens. So the marketers have to be careful and focused about making the videos of their brands or products in order to convince the audience of the benefits it has to offer. As approval and disapproval both play a great role in our lives, likes and dislikes have their own roles to play in the field of marketing. There is an invisible meter for measuring the popularity of brands and products. Likes convey hoe popular a video is and dislikes conveys otherwise. This is how it has been working since the time youtube came into existence in February 2005. Youtube marketing has turned into a trend and necessary for all marketers. Youtube has created a great platform for marketers. As the digital marketing is becoming popular, the need and popularity of youtube is increasing and so the significance of likes and dislikes is becoming important day by day.